A new book by two philosophy scholars imagines conversations with skeptics and deniers. Here are four lessons we learned from it. Everyone working to address climate change, from activists to scientists, knows that success depends in large part on their ability to convert climate change skeptics (or even straight-up deniers) into proponents for action. Most of us have someone in our lives—a family member, co-worker, or friend—whose views on climate change conflict with the latest science, and you’ve likely had some exasperating, polarizing, unconstructive conversations with them. Philip Kitcher, an MIT professor of philosophy, and Evelyn Fox Keller, an MIT professor emerita of history and philosophy of science, have co-written a book that imagines six of those very conversations. 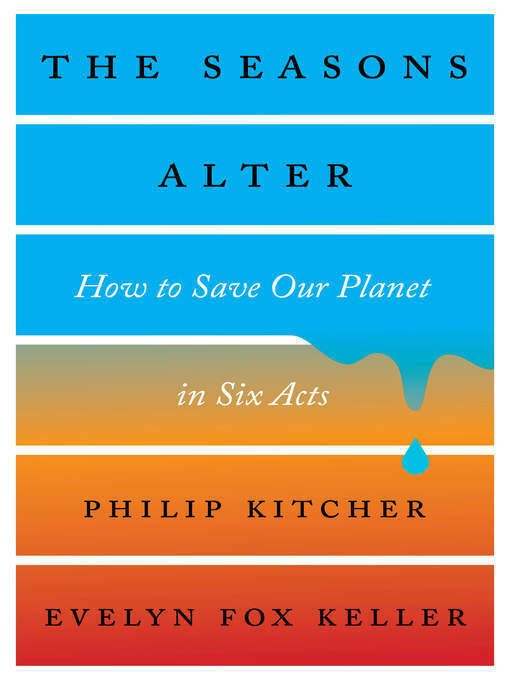 The Seasons Alter: How to Save the Planet in Six Acts (W.W. Norton; $25) reads like six screenplays set in different locations and with two different people in each act. The dialogue—well, it probably won’t pass your sniff test. The authors describe the conversations in the book as “constructive, careful, and amicable,” but they mostly sound stiff. Even if they don’t ring true to life, many of the book’s exchanges contain useful clues on how to unpack specific issues and work around conversational impasses. Here, culled from The Seasons Alter and other experts, are four guiding principles that could fix the way we talk about climate change. ← Guardian: Only 14% of plastics are recycled – can tech innovation tackle the rest?